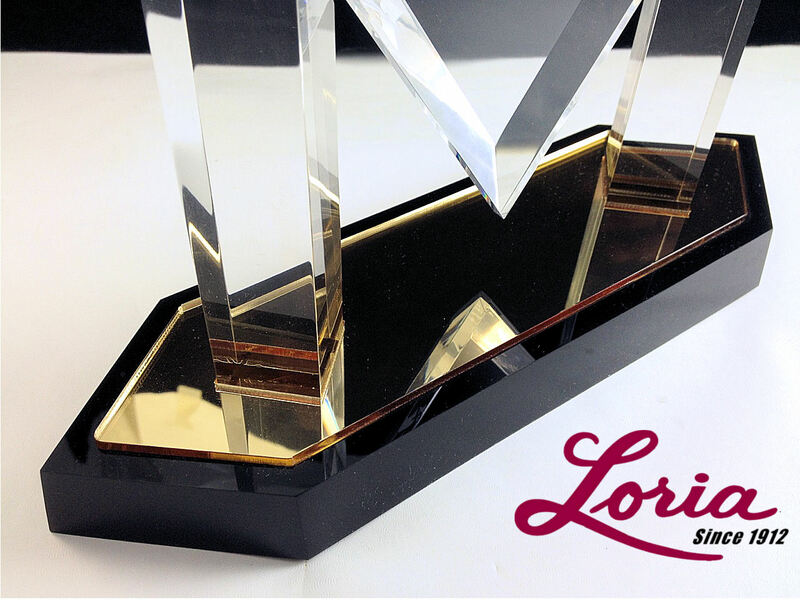 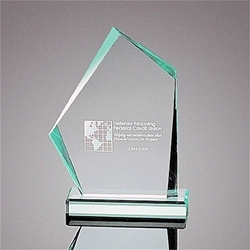 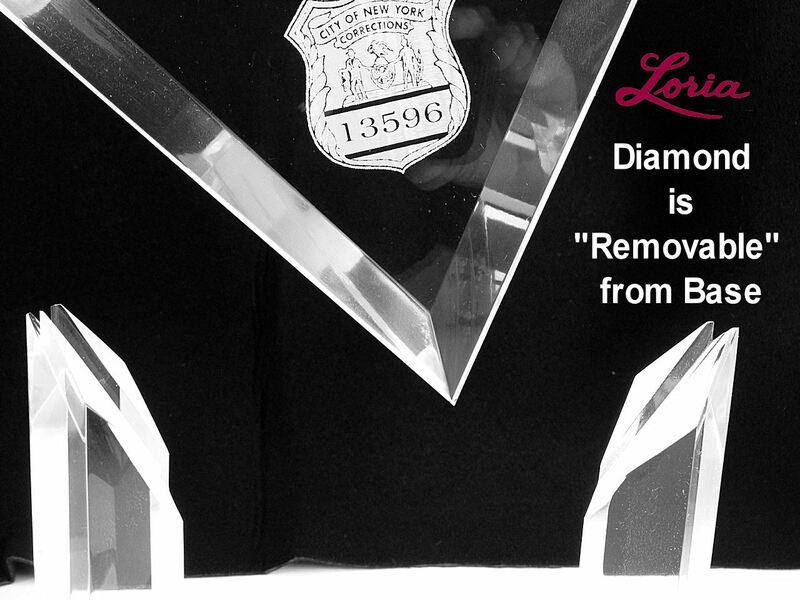 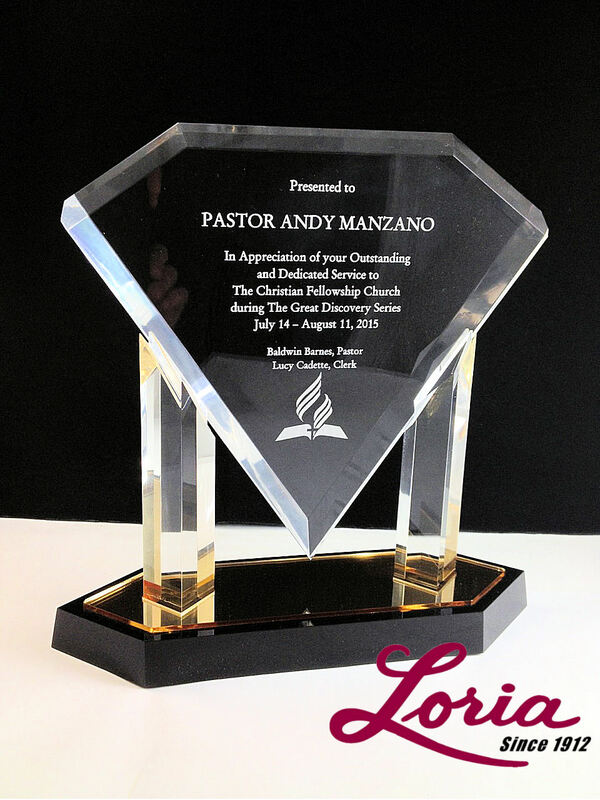 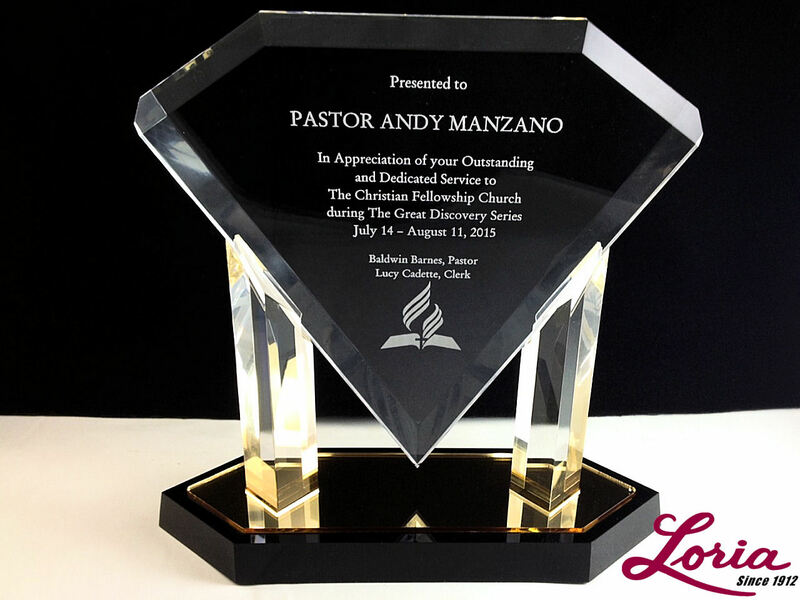 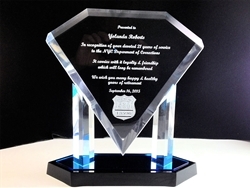 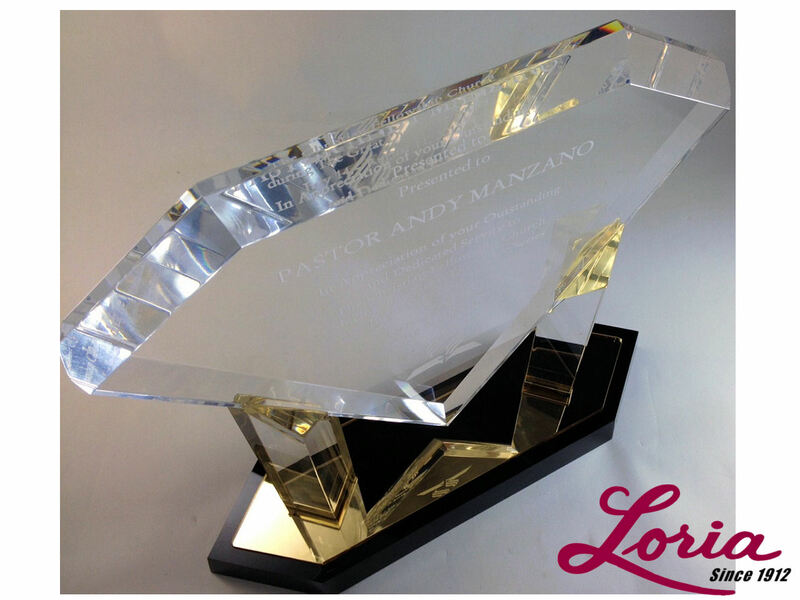 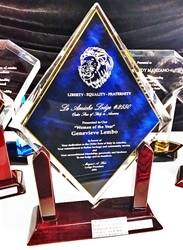 Diamond shaped clear acrylic award with beveled edges on a polished black acrylic display stand with a mirrored gold accent plate. 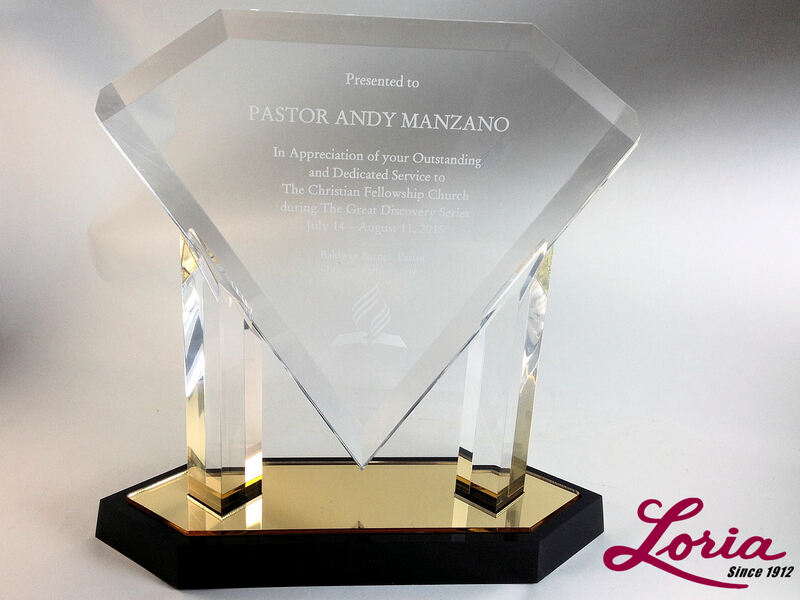 The gold mirror reflects a golden hue upward into the diamond. 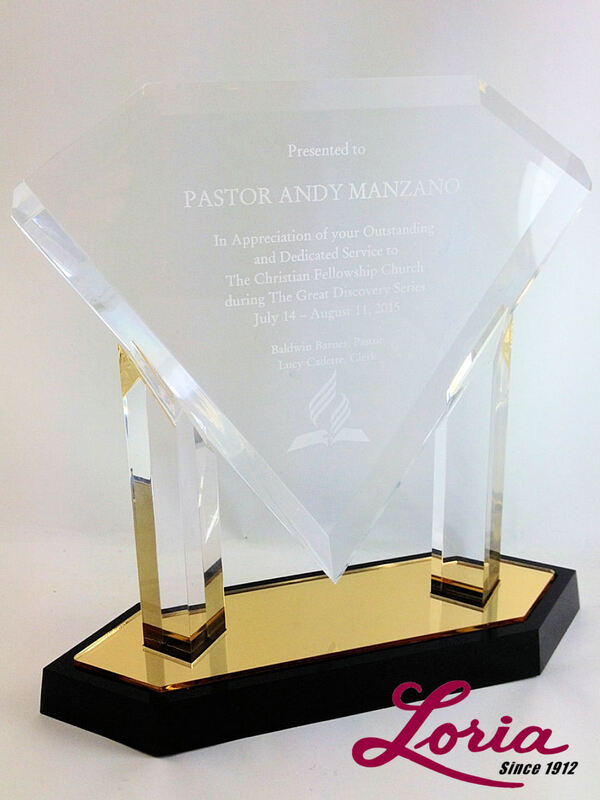 Diamond is 10" high x 10-1/2" wide and is removable from stand. 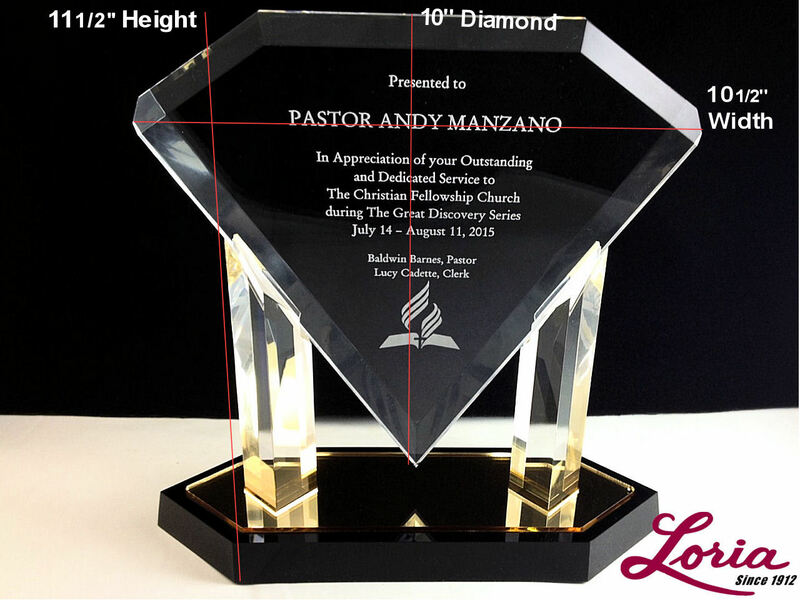 Overall height with stand 11-1/2'' .